The altered states of consciousness produced by psychedelic drugs are very similar to dreams, according to new research published in Frontiers in Neuroscience. "I am puzzled about the range of different experiences a human being can have throughout his or her lifetime. Here I mean qualitatively different experiences, this is not eating two different ice-cream flavours, but being in very different states such as awake, dreaming, deep sleep, coma, deep meditation, and under the influence of different psychoactive drugs," said study author Enzo Tagliazucchi of the Brain and Spine Institute in Paris. "My hypothesis is that there is a reduced number of these states, much lower than what many neuroscientists think, so that some states we label as different are in fact very close in terms of 'what they feel like' and in terms of the underlying brain physiology — you simply don't recognise this fact because you reach those places coming from different routes. "Since many authors have assigned a 'dreamlike quality' to the psychedelic experience, I thought this was a good place to start, and I decided to perform a formal comparison of how these two brain states 'feel like'." The researchers collected descriptions of drug experiences from the website Erowid.org, which contains about 20,000 first-person articles outlining the effects of more than 100 psychoactive substances. Using a language processing technique known as latent semantic analysis, these drug reports were compared to dream reports obtained from the website DreamJournal.net. 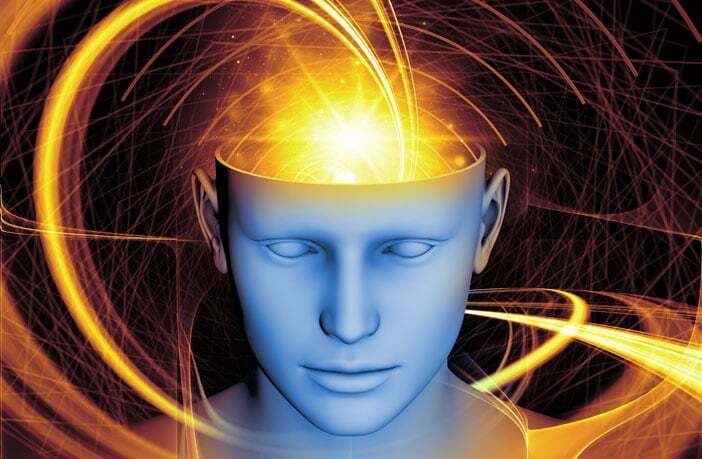 Tagliazucchi and his colleague, Camila Sanz of the Universidad de Buenos Aires, found that psychedelic drugs like LSD and psilocybe mushrooms produced experiences that were the most similar to experiences reported during dreaming. On the other hand, sedatives, stimulants, antipsychotics, and antidepressants lead to experiences that were the least similar to those reported during dreaming. "The average law-abiding citizen in the industrialised Western society does not know what the psychedelic experience feels like," Tagliazucchi told PsyPost. "Most people are aware that a molecule called 'LSD' had a profound impact in the society, culture and politics of USA and the world at large during the '60s. And even if they have read detailed descriptions of what happens after ingesting LSD, in spite of these theoretical knowledge, the first-hand experience is unknown to most of society. "LSD and other similar psychedelics have been illegal since the late 60s, so this experience is basically outside the law. I would like people to realise that they know much about the psychedelic state, in fact more than what they believe they do, because most people dream frequently. People have been scared of 'bad LSD trips' by the media for decades, but those bad trips could amount to an experience similar to an intense nightmare – and in both cases no permanent psychological trauma is caused." "In general, there is strong evidence that LSD is a very safe drug both from the psychological and physical perspective, and many scientists and medical doctors worldwide are proposing a change in the current legislation," Tagliazucchi said. "Perhaps if we acknowledge that psychedelics lead to an experience similar to dreaming, this transition can be accelerated. Since the government is not going to outlaw dreaming, then maybe the ban on psychedelics has to be-reconsidered." The study, like all research, has limitations. "Other drugs were similar to dreams, including dissociative anesthetics such as ketamine, PCP ('angel dust') and the toxic deliriant plants of the Solanacea family (Datura, Brugmansia)," Tagliazucchi explained. "There are many reasons for this and I think the conclusion is that no psychoactive substance yields an experience exactly like that of dreams. "However, I do believe that lucid dreams are extremely close to the experience elicited by LSD and other psychedelics. Lucidity is key to the psychedelic experience: users do not lose track of undergoing an altered state of consciousness. However, this can happen with deliriant plants such as those I mentioned above." "Also, there are difficulties in using self-reported narratives coming from a large database of reports," Tagliazucchi added. "People may fail to properly identify the drug they have ingested or its identity might be elusive even to themselves. Since there is no 'placebo', expectation effects can happen, e.g. imagine I have read in the past that LSD results in a dreamlike experience, so then I write a report about my LSD experience and I exaggerate this dreamlike character. "These limitations can be overcome using more careful experimental designs. The advantage of using data from webpages such as Erowid is the sheer amount of information that can be downloaded – thousands of reports of hundreds of substances. This information is impossible to obtain in a controlled laboratory setting." "This study is the first but others will come in the future in which we will examine different conscious states (what I call 'comparative phenomenology')," Tagliazucchi concluded. "I am interested, for instance, in whether psychotic episodes in patients resemble the experiences elicited by certain drugs and what that can tells us about the underlying neurochemical causes of those episodes. We have many hypothesis and data and at this point this is open doors for us – we need to get to work and perform the studies. I hope I can come back to you soon with exciting and novel results." The study was titled: "The Experience Elicited by Hallucinogens Presents the Highest Similarity to Dreaming within a Large Database of Psychoactive Substance Reports".